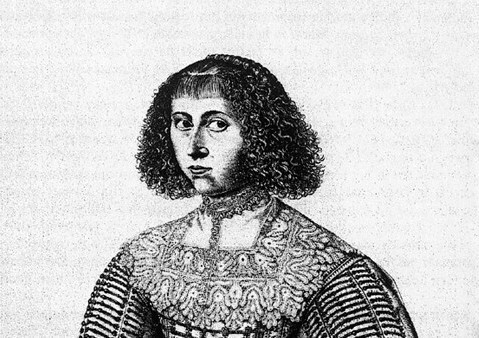 From speaking 14 languages in the 17th century to exploring the Sahara; from taking the Olympics by storm to defying the German occupiers – here is a list of inspirational Dutch women who’ve made it into the history books for reasons other than their appearance. In no particular order. Born in Cologne in 1607, this well educated 17th century woman spent most of her life in the Netherlands where she was permitted an education. She spoke 14 languages including Hebrew, Arabic, Ethiopian, Syriac and Aramaic – and excelled in literature, art and music. Later she was the personal assistant of Jean de Labadie remaining heavily involved in his cult religion, Labadism, until her death. This bold lady was one of the 16 wives of Jan van Leiden, dictator and leading figure of the Anabaptist commune in Munster during the early 1500s. Elisabeth criticised her husband for letting the poor of the city starve while Van Leiden and his entourage lived in luxury. She returned her jewellery to him in protest and requested to leave the household. In response, Van Leiden had his young wife publicly beheaded in 1535. Recognised as being the first European woman to attempt to cross the Sahara Desert, Alexandrine was born into a family of adventurers in The Hague in 1835. Her mother accompanied her on some of her earlier forays into the Middle East. Alexandrine died at the age of 33, murdered by her local guides during an expedition. The first Dutch woman to complete a university degree (medicine). After graduating in 1878, Jacobs ran a free medical clinic to treat destitute women and children and was instrumental in the manufacture of the pessaries she gave to women to control their fertility. Throughout her life she fought for equal rights for women in the Netherlands and around the world. Born to a wealthy Leeuwarden family in 1876, Margaretha Zelle abandoned her studies when she responded to a newspaper advertisement posted by an Indonesian-based Dutch Army Captain seeking a wife. A few years later, she abandoned the practical and abusive marriage, returned to Europe, and established herself as an exotic dancer and courtesan to men of influence and great wealth. When her dancing career faded, she became a spy for the German army during WWI. She was captured and executed by a firing squad in France in 1917. A wood merchant from Haarlem, Kenau become a legendary folk hero for her fearless defense of the city against the Spanish invaders during the siege of 1573. By the 19th century, it was even said she had led an army of 300 women against the Spanish. There are now a lot of doubts about her real role and she was not included on the official list of war criminals. After the war, she resumed wood trading again and is thought to have died at the hands of pirates in 1588. Referred to by her critics as ‘Our Lady of Perpetual Succour’, Marga Klompé was born in Arnhem in 1912. With her university studies (medicine) interrupted by WWII, Marga became active in the Dutch underground movement. In 1948 she joined the House of Representatives and in 1956 became the first female secretary of the Netherlands focusing on Social Affairs. Her main contribution to Dutch history is the passing of the Social Security Bill in 1963. Fanny was a 30-year-old mother of two when she took the world by storm at the 1948 Olympics in London, winning gold medals in the 100 metres, 200 metres, 80 metres hurdle and 4×100 metres relay. Fanny, who was also known as ‘the flying housewife’, inspired many women and sport stars over the decades and was voted female athlete of the century by the IAAF in 1999. Born Jannetje Johanna Schaft in Haarlem in 1920, Hannie was a member of the Dutch Communist resistance during WWII. As a law student at Amsterdam University she was expelled after refusing to sign a declaration of allegiance to the German Occupation. She is known to have carried out attacks on German soldiers, collaborators and traitors. Hannie Schaft, also known as ‘the girl with the red hair’, was shot dead three weeks before the end of the war in the dunes at Bloemendaal. Sonja, a feminist and television personality, was born in Amsterdam in 1940. For about 30 years, Barend presented her own television programme, Sonja, voicing her own ideological and political ideas, and creating public discussion on taboo topics like feminism, homo- and other sexualities. After her retirement in 2006, she was awarded the Order of Orange-Nassau. And if you are missing Neelie Kroes, she’ll feature in a separate list on Dutch business women.